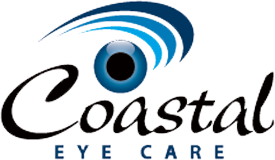 Dr. Thorsen is the founder and one of the Optometrists at Coastal Eye Care. He has strong ties to the area. He grew up in Warrenton, OR, and completed his undergraduate work at the Evergreen State College in Olympia, WA. His Doctorate of Optometry was earned at the Pacific University College of Optometry in Forest Grove, OR. He started practicing in Long Beach in 1993 and over the years expanded the practice to Seaside and Astoria. Dr. Thorsen has considerable experience in primary eye care, ocular disease management, eye care for children & teens and specialty contact lenses fitting. Dr. Thorsen has specific expertise and interest in diseases of the eye and conditions associated with aging, such as cataracts, diabetic eye disease, glaucoma, and macular degeneration. Dr. Thorsen is certified in surgical co-management and referral consultation of cataracts, glaucoma, diabetic retinopathy, macular degeneration, and refractive surgery. Dr. Thorsen is an Associate Professor at Pacific University College of Optometry. He enjoys participating in the training of future optometrists. Coastal Eye Care hosts several intern a year during their final year of clinical training. Dr. Thorsen is an elected member of the Ocean Beach Hospital board of directors and serves as the board chairman. When not working Dr. Thorsen enjoys outdoor sports and traveling with his wife, two sons and their two dogs. He enjoys working with his hands doing, wood working projects and mechanical restorations. Dr. Stebel joined the ranks of Coastal Eye Care in the summer of 2015 after completing his doctorate at Southern College of Optometry in Memphis, TN. He received training at the nationally renowned referral center Wolfe Eye in West Des Moines, IA where he gained experience in adult primary care, ocular disease, and specialty contact lens fitting. Bruce grew up in Fayetteville, AR and earned his Bachelors of Sciences in Biology with an emphasis in Genetics in Russellville, AR. He is proud to call himself a new member of the Astoria community and provide eye care to those in Seaside, Astoria, Long Beach, and surrounding. Bruce is married to his wife, Aspen, and they can often be seen enjoying the river walk together with their Newfoundland dog Gimli. When not working Dr. Stebel enjoys electronic do-it-yourself projects, home brewing, and strolls around town with his family. Dr. Powers is the newest member to the Coastal Eye Care family after earning her doctorate at Southern California College of Optometry in Fullerton, CA. She received training in specialty contact lenses, ocular disease, pediatrics, and primary care. She grew up in Beaverton, OR and graduated from Oregon State University with a Bachelors of Science in Microbiology in 2009. She is passionate about providing excellent healthcare for the local communities. An avid nature seeker, Katie enjoys staying active with hiking and kayaking in the surrounding areas. She is looking forward to getting involved with the communities, specifically volunteering at the nearby Clatsop Animal Assistance shelter.